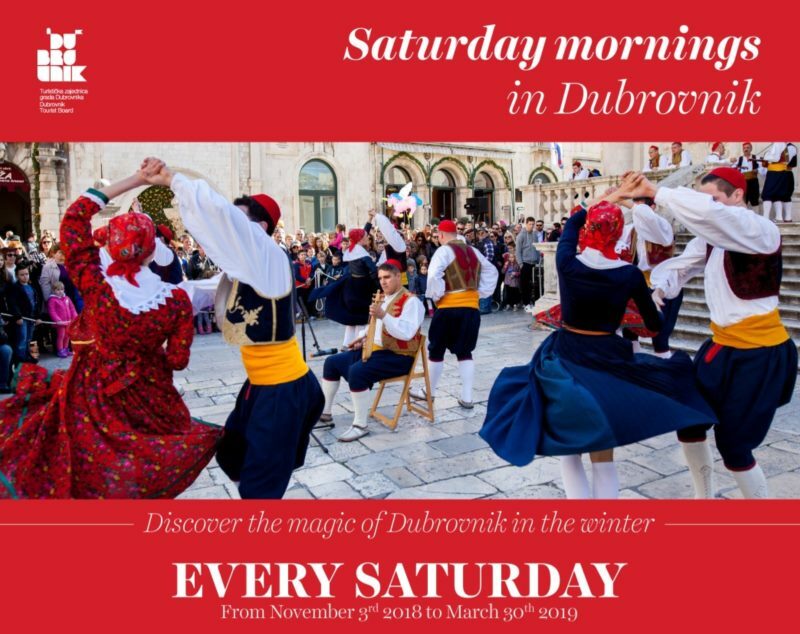 In order to encourage tourist visits during the winter, for the fourth year in a row the Dubrovnik Tourist Board is organising ˝Winter Saturday Mornings in the City˝ for tourists who are staying in Dubrovnik. Every Saturday, beginning on 3 November 2018 until 30 March 2019, a free tour of the Old City with an English speaking guide will be organised for the guests of the city beginning at 10 am in front of the Tourist Information Centre (TIC) Pile, located at Brsalje 5. It is necessary to register for this free tour the day before (on Friday) by 6 pm at the TIC Pile (tel: +38520312011; E-mail: ured.pile@tzdubrovnik.hr). The offer is meant for individual visitors and does not apply to groups. Following the tour of the city with a professional guide, the Dubrovnik Tourist Board is also sponsoring a free performance for all visitors by the folklore ensemble FA Linđo beginning at 11:30 am in front of the Church of St. Blaise (in case of rain the performance will not be held). This free program will be a great addition to the various entertainment programs offered during the winter months.